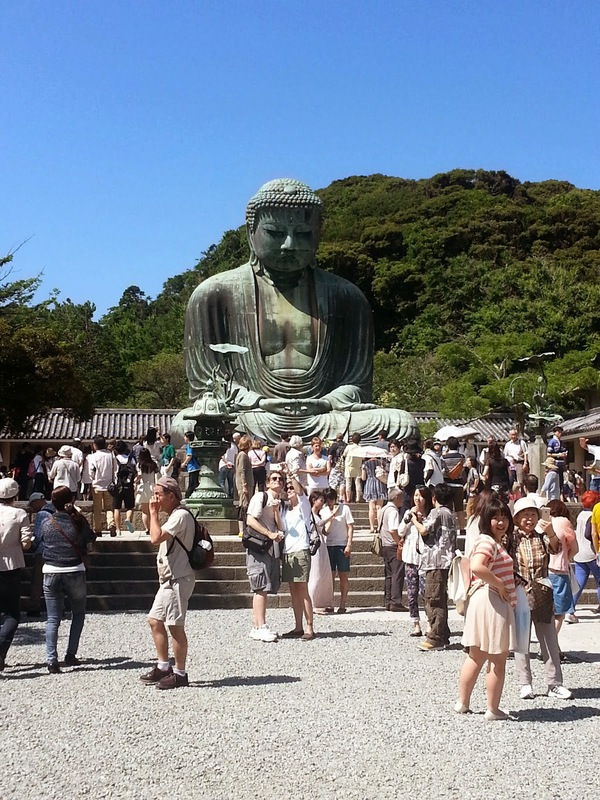 After leaving the temple, we went for lunch and then to see the Great Buddha. The Great Buddha is a national treasure and it was clearly a popular tourist destination, judging from the crowded trains and the number of foreigners seen around the Great Buddha. This part of Kamakura was very different from the part we had stayed in, which is dominated by temples. It was a small town brimming with tourist activity. 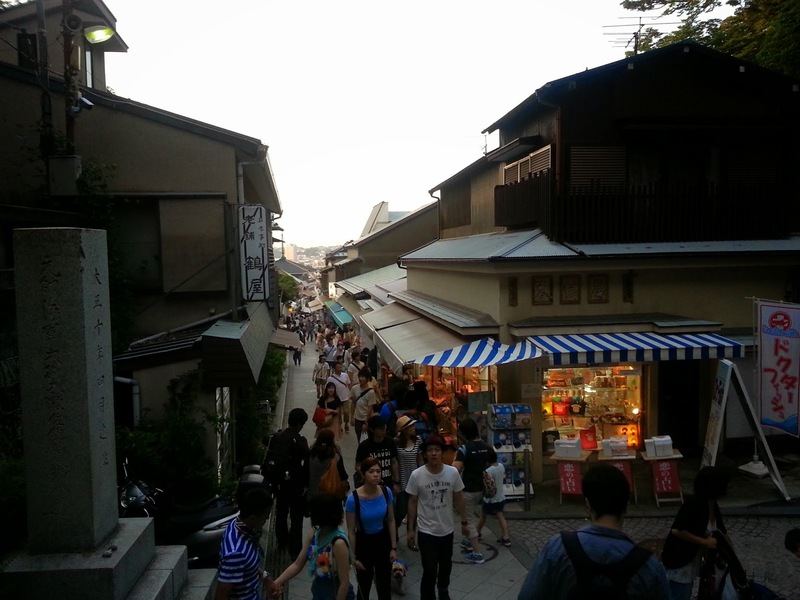 There were souvenir shops, restaurants and narrow lanes. 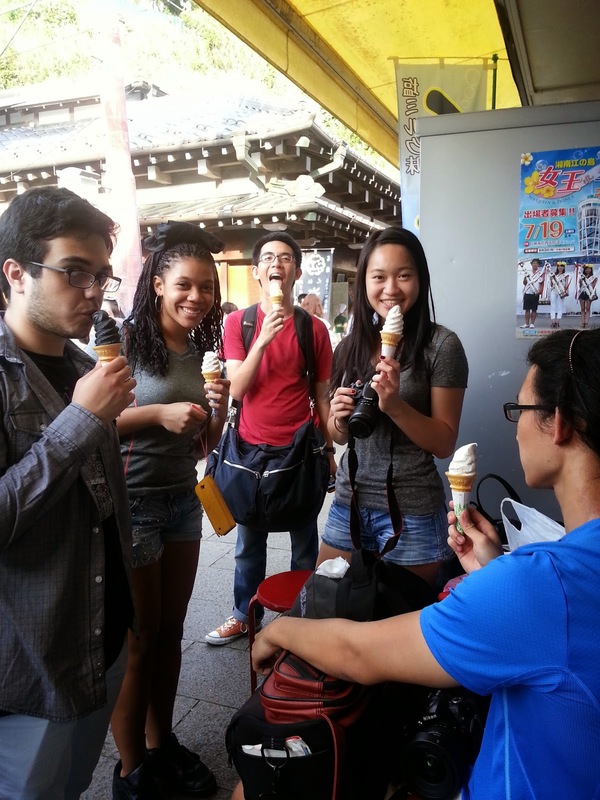 After the Great Buddha, some of us went to Enoshima, a coastal town about 20 minutes away from Kamakura. 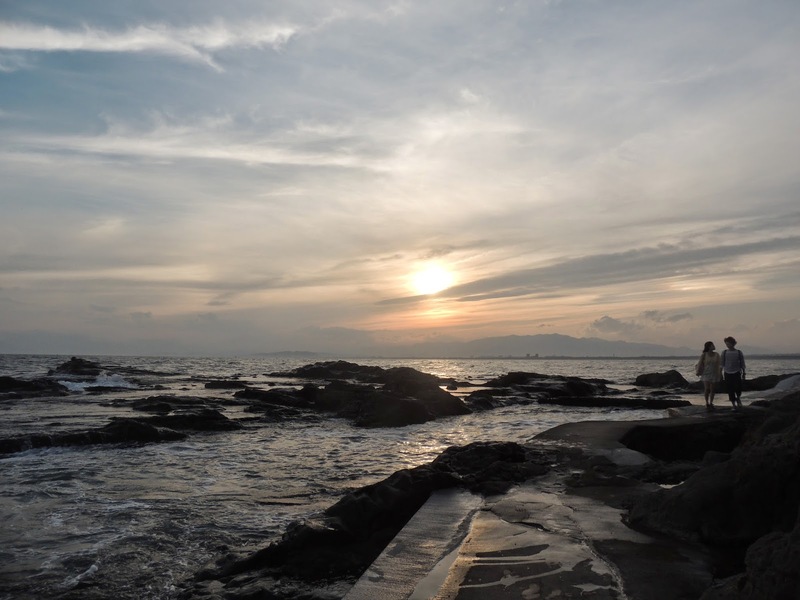 Enoshima is known for its caves, cliffs, beaches and view of Mount Fuji. 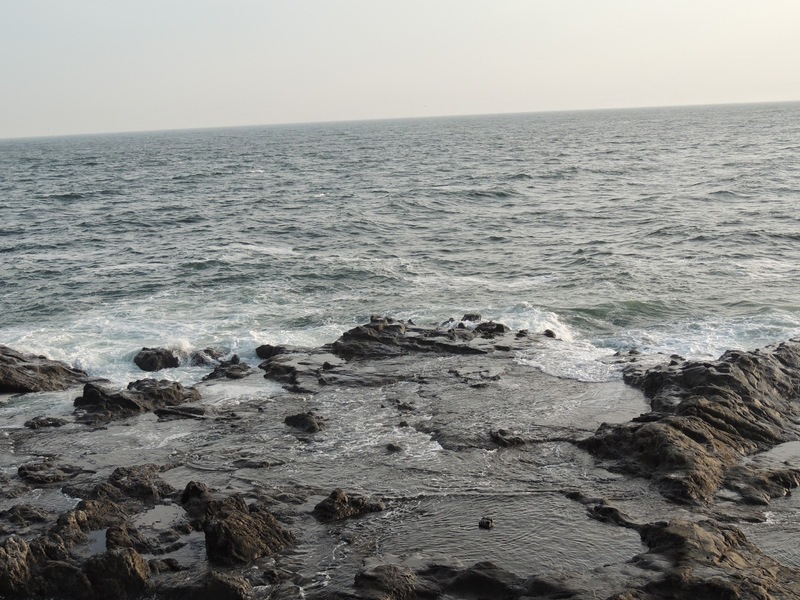 The weather at Enoshima was perfect. It was sunny with a cool wind from the coast. We walked up to the caves and cliffs which were by the water. The walk up was not without stops. We were distracted by the food shops on the way. We stopped for random snacks, which for me included a Japanese herb rice cracker and gold sesame milk ice cream. 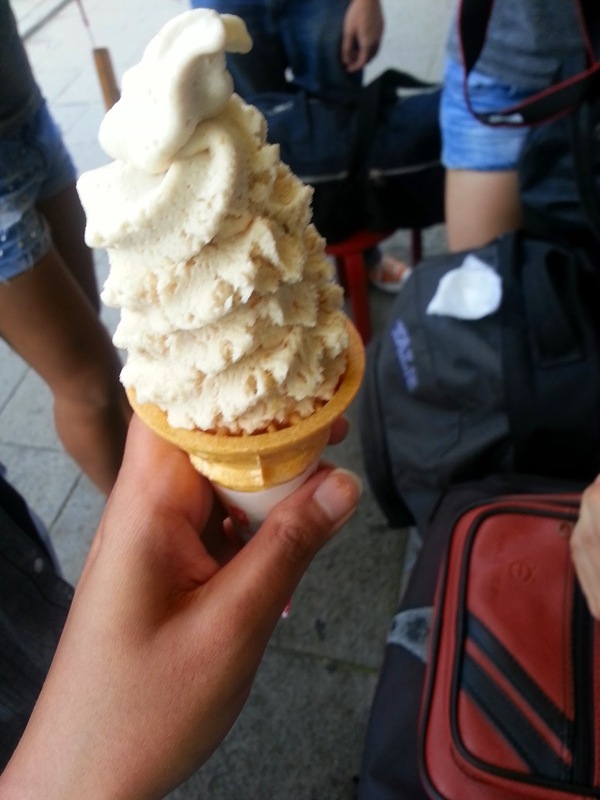 My gold sesame milk ice cream-I’d go back for it! We made it to the caves just in time for the setting sun! Our day at Enoshima ended with a ramen noodles dinner. 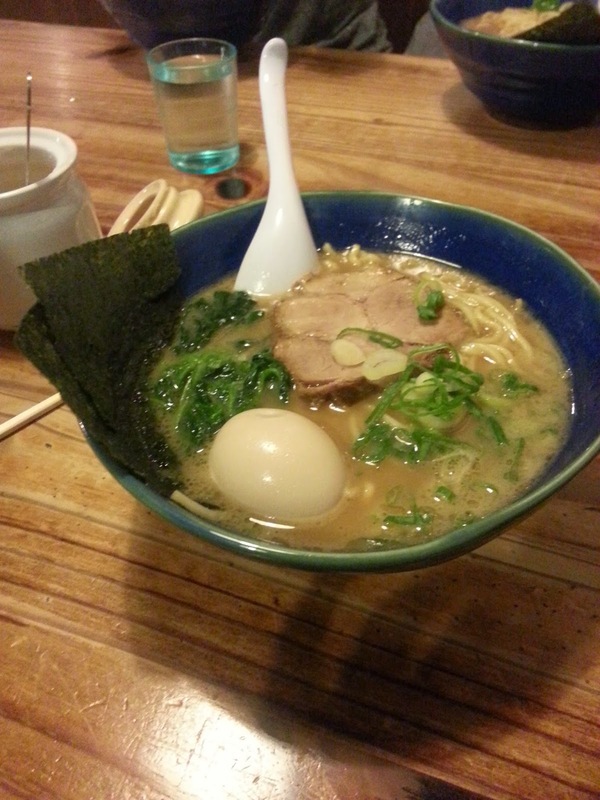 Although we were hoping to taste Enoshima’s sea food, the ramen was a great replacement! We made it back to Tokyo by 10 p.m., tired but satisfied with our time away from Tokyo. This was the first time I was riding the local train at 10 p.m. on a weekend, and it was interesting to see the vast number of drunk people. One drunk man tried joining our conversation by say “I know right?” at random times. Another man asked me where I was from and whether I liked Japan. It was pretty hilarious. Getting distance from the city definitely helped me see more of traditional Japan. While Tokyo is not very different from other cities in the world, the rest of Japan really is. The way it continues to preserve its culture and traditions despite being a developed nation is unique.